Compare that to my experience when I went up to Sheffield to deliver the trusty steed to his new retirement home. To get him there meant riding him from the train station, in the centre, to my parents’ house on the outskirts of the city – a distance of around six miles. It’s pretty much a straight line all the way there, and relatively flat (for Sheffield, anyway). I thought, perhaps naively, that I’d see lots of other cyclists en route. In reality, there were hardly any. Most of those I saw, judging by their Lycra outfits and the absence of panniers or rucksacks, seemed to be heading out for a ride in the countryside. Only one person – an old guy on a knackered old mountain bike – seemed to be using his bike as a means of getting from A to B. Why so few? I was back in London when I worked it out. To be more precise, I was on the 73 from St Pancras station. As it crawled down White Lion Street, waiting its turn to join the traffic on Upper Street, I itched with impatience. If only I had my bike with me, I thought. And that’s when it hit me. In London – where the buses are slow and overcrowded, where the Tube is unreliable and overcrowded, where the roads are congested, where owning a car is expensive and parking is scarce, and where simply living is expensive and getting ever more so – we have ample reason to cycle. But in Sheffield? Up there, people have far less incentive to get on their bikes. Up there, they’re much more likely to drive than cycle. Living in London – where owning a car is, for many, an optional extra rather than a necessity – it’s easy to forget how dependent the rest of the country is on them for getting around. According to the 2011 census, 67 per cent of all households in Sheffield have at least one car. Admittedly, that’s quite low compared to many other places in the country, but still almost double the rate here in Hackney. The same census also showed that almost three times as many people drive (or are driven) to work in Sheffield than get there by public transport or bike. Whenever I’m up visiting my parents, we usually go everywhere by car. It’s quicker – the journey from the station to my parents’ house took me half an hour by bike; by bus it would be nearly an hour, but in the car it’s only 20 minutes. It’s cheaper – it would cost the best part of a tenner for all three of us to travel those six miles from station to house by bus. And it’s also more convenient – most bus routes in Sheffield are like spokes on a wheel, with the city centre being the axle: fine if that’s where you want to go, but not if you want to go anywhere else. And of course there are lots of places you simply can’t get to by bus, or indeed any form of public transport. 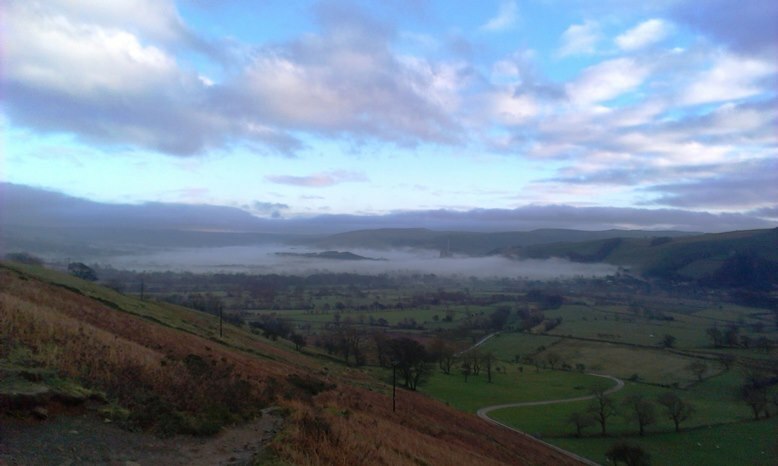 You can get to some of those places, such as the Peak District, by bike. Indeed, that’s exactly what I saw quite a few people doing while I was up there; in fact, I saw more cyclists struggling over Winnats Pass on a grey, overcast Saturday afternoon than I had done the whole way to my parents’ house the day before. I get the feeling that that’s what cycling is all about up there – long rides out in countryside, rather than as a means of getting from A to B. And unless something radical happens to make cycling more convenient than driving, I can’t see things changing anytime soon. I have the best of both worlds. Early in the morning, I throw the bike on back of the car and drive into work with my wife. Then the afternoon, I ride home, never affected by rush hour. things are too spread out for me to ever ditch the car for a full time bike, so YEP its great to have the choice based on convenience! I’m hoping to get my bike very soon!!! Can’t wait now! You are brave cycling in London! I cycle in north Wales mostly and it’s really hilly so it’s hard like that but drivers around here are way more patient and tolerant of cyclists than what I saw down there! I absolutely understand why you would cycle though having spent the last two days zooming round on the tube during rush hours! It’s not for the claustrophobic eh! True whenever I’m with a driving friend, life is different. Not necessarily satisfying in the same way.